ShukerNature: SKY BEASTS, NOT SPACE CRAFT - UNMASKING THE UFOS? SKY BEASTS, NOT SPACE CRAFT - UNMASKING THE UFOS? "Unknown, luminous things, or beings, have often been seen, sometimes close to this earth, and sometimes high in the sky. 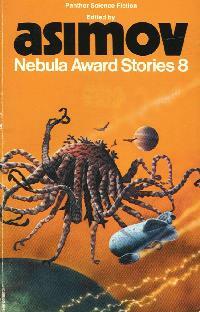 It may be that some of them were living things that occasionally come from somewhere else." It has often been said that Nature abhors a vacuum – and evolution certainly does. Every conceivable niche upon planet Earth has been populated by life forms – on land, in freshwater and the seas, beneath layers of rock far below the earth’s surface, even buried within the formless ooze on the ocean beds and encircling their scorching water-spewing hydrothermal vents. Yet, inexplicably, there is one lone but vast ecological niche that has remained totally untouched by such animate activity – the rarefied atmospheric layers above and encompassing our world. True, insects, bacteria, birds, bats, and various other living entities spend varying extents of time in the sky, but there is no known life form that has evolved to live exclusively here, never venturing groundward except to die. There are no sky beasts, or cloud creatures – or are there? One of the most intriguing UFO explanations on offer is that at least some of these elusive aerial entities are not alien spacecraft or anything else from beyond our planet. Instead, they are living creatures – huge, fast, and exceedingly fragile, but life forms nonetheless, highly-specialised for an absolute existence high above our earthbound domain. In my recent book Dr Shuker’s Casebook (2008), I devoted a lengthy chapter to this fascinating, but previously largely-forgotten scenario, which has helped to revive interest in the sky beast theory - one that, as will now be seen, is certainly greatly deserving of renewed attention. Down through the decades, a sky beast identity for UFOs has been championed by a number of writers and researchers, of which the most famous must surely be Trevor James Constable, who spent over 20 years investigating this subject, and published two books. 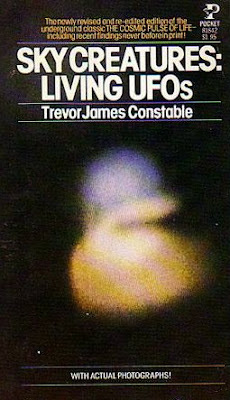 The first of these, They Live in the Sky, came out in 1958, but the second, The Cosmic Pulse of Light, published in 1976 and then again, in abridged form, in 1978 as Sky Creatures: Living UFOs, brought this fascinating notion to a much wider audience than it had ever before reached. Constable considered the sky beasts – or ‘critters’, as he dubbed them – to resemble gigantic unicellular amoebae, but encased in a metallic or mica-like outer shell or capsule, and with the majority of their bodies composed of plasma, the fourth state of matter, comprising an ionised gas. Although some critters may be as small as a few centimetres, others could be several kilometres long, and remain hidden on most occasions from humans by virtue of their ability to reflect infra-red light, thus rendering them invisible to our eyes – except if they change colour, thereby temporarily reflecting light within the electromagnetic spectrum’s visible section. Yet even if critters are usually beyond our range of vision, their presence can still be detected, for according to Constable they can actually be photographed – using infra-red film and appropriate filters. In his books, he published a number of photos depicting supposed critters snapped by him in the skies above California’s Mojave Desert, and one of his acolytes, Richard Toronto, duplicated Constable’s attempts in this same locality during 1977, obtaining similar pictures. 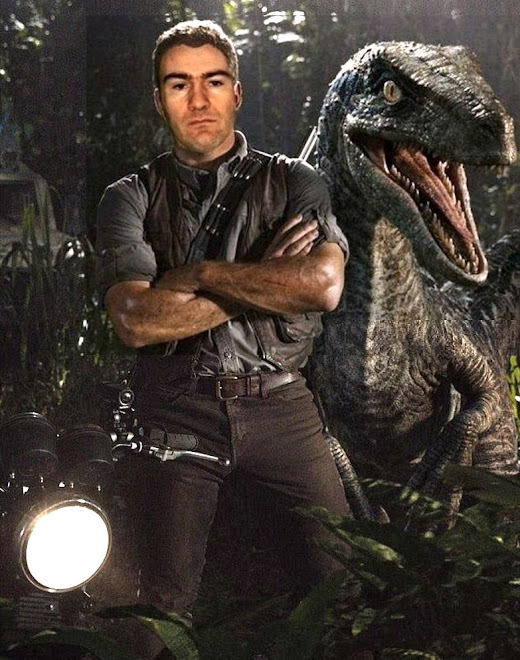 Their photos have never been exposed as hoaxes (though Kodak representatives have suggested that Toronto’s critters may be nothing more exciting than dirty fingerprints and drying spots), and show several different morphological types. These include fusiform entities, giant amoeboid blobs, huge bladder-shaped objects, gigantic discs, and even some with curiously reptilian ‘beaks’. Moreover, cine-films taken by Constable show that these objects change shape as they move through the sky, and are luminous. 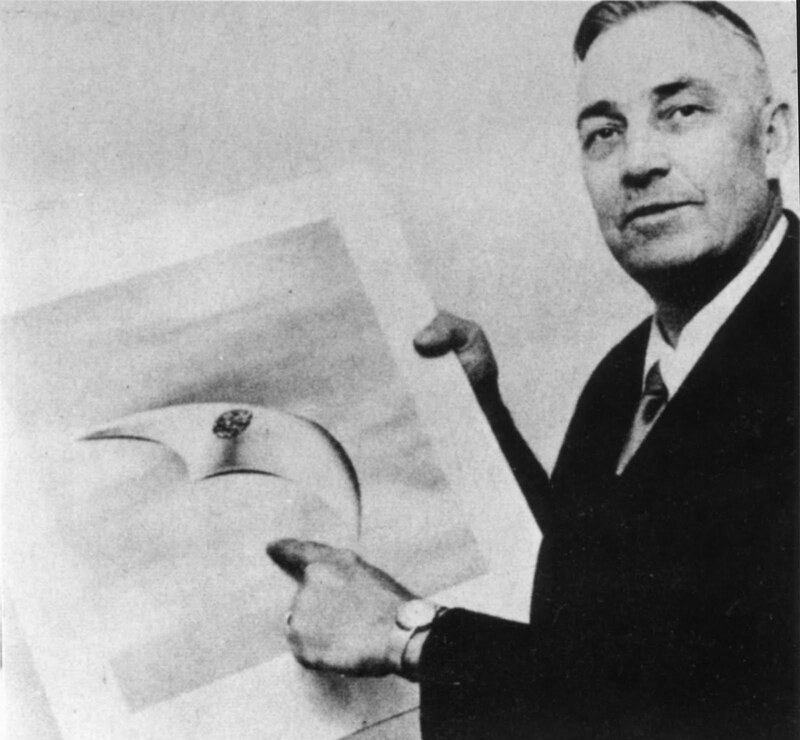 Another dedicated supporter of the sky beast theory was John Philip Bessor, whose own interest in such a concept was in no small way inspired by Kenneth Arnold’s historic sighting on 24 June 1947 of a phalanx of nine UFOs while flying a Callair aeroplane near Mount Rainier in Washington State, USA. What fascinated Bessor in particular concerning this encounter (which heralded the modern-day wave of UFO interest and sightings worldwide) was Arnold’s belief that what he had seen were: “…living organisms, sort of like sky jellyfish” – far removed from today’s popular spacecraft image for UFOs. Bessor later stated that, in his view, UFOs were a form of living creature (which he christened an ideoplasm) composed of a highly attenuated substance, enabling them to materialise or dematerialise at will, utilising telekinetic energy for propulsion. As would be echoed by Constable in relation to his critters, Bessor opined that these entities must be capable of becoming visible, invisible, and changing colour, all very rapidly. He even submitted his thoughts to the U.S. Air Force, and, remarkably, was informed by them that they considered his notion to be “one of the most intelligent theories we have received” regarding the possible nature and identity of UFOs. Yet another theory of sky beasts, proposed during this same era of thought regarding UFOs, was that of Countess Zoe Wassilko-Serecki. 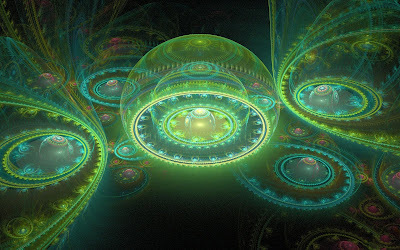 Authoring a number of articles on this subject, she deemed it plausible that such entities were enormous, glowing, stratosphere-inhabiting creatures resembling gargantuan bladders of colloidal silicones, containing a central core of insubstantial matter but otherwise composed predominantly of pure energy. She claimed that they appeared spherical when stationary but became fusiform when moving, and so diffuse at higher levels as to appear virtually invisible. 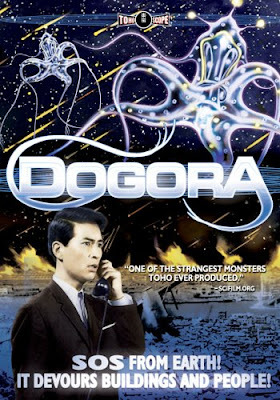 In addition, hydrophone inventor John M. Cage, commenting upon how closely the pursuit of aircraft by UFOs resembled that of dolphins with ships, suggested that some UFOs may be sentient beings feeding upon negative electricity. And in his book The Circlemakers (1992), veteran psychical investigator Andrew Collins speculated that perhaps some cropfield circles may be created by energy released by biological UFOs when swooping downwards from the skies. Not all sky beasts may be enormous and often invisible. Certain much smaller and more readily discernible (but no less perplexing), luminous, spherical entities are on record that may also be variations upon the fundamental sky beast theme. Take, for instance, the foo fighters. 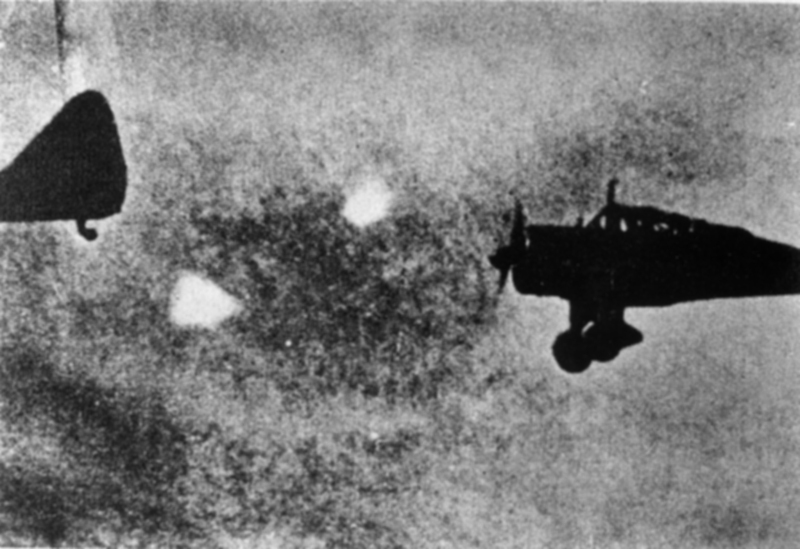 Usually white or red in colour, and highly animate, these small balls of light (BOLs) were (in)famous during World War II for appearing on the outside of aeroplanes in flight and dancing around them, to the bewilderment of their pilots. At first, the Allies and the Axis powers each thought that foo fighters were a secret weapon developed by the other side to detract fighter pilots from their missions – until eventually it was realised that British, American, French, German, and Japanese pilots were all seeing them! The most mystifying aspect, however, was these BOLs’ apparent ‘intelligence’, because they would swiftly move out of reach if the pilots tried to swat them, but would tenaciously pace alongside if the planes tried to out-fly them, and behaved in what can only be described as a playful, even inquisitive manner. Consequently, veteran BOL investigator Vincent Gaddis boldly proposed that perhaps foo fighters were indeed sentient entities, composed of pure energy yet possessing a basic level of intelligence, and supported earlier claims that UFOs were comparable, albeit much bigger, life forms – a view also subscribed to by Constable. Interestingly, foo fighters could not be detected by radar. Moreover, a kind of converse foo fighter has also been reported. Known as gizmos or angels, these objects are small, rapidly moving, and again display suspiciously sentient behaviour, sometimes even flying in small groups moving in precise formations. Yet whereas gizmos do show up on radar, and exhibit a very characteristic, idiosyncratic trace pattern readily distinguishable from birds, aircraft, insects, ionised air masses, and other known airborne objects, they are invisible to the human eye. Very different from sky beasts, big or small, are sky serpents or sky fishes, spasmodically reported from all around the world. One of the most famous examples was the so-called ‘sky eel’ viewed by countless eyewitnesses during two successive nights in early September 1891 in the sky above Crawfordsville, Indiana. It was said to wriggle like a swimming fish, was white, luminous, and measured approximately 6 m long. Hovering around 100 m above the ground, but sometimes swooping even lower, it wheezed loudly and emitted hot air, but lacked any discernible head or tail. The Crawfordsville sky eel was subsequently 'explained' as a flock of killdeer (a species of plover). A huge entity resembling a writhing serpent with yellow stripes was seen floating over a farm in Bonham, Texas, one day in June 1873. And in May 1888, a hissing counterpart was reported from Darlington County, South Carolina. Back in 1762, a twisting sky serpent was spied for six minutes as it illuminated from on high the Devon town of Bideford on 5 December. More recently, in March 1935, a Scandinavian sky serpent was reported over southern Norway and Denmark, and in December of that same year another one was witnessed twice in the sky above Cruz Alta, Brazil. 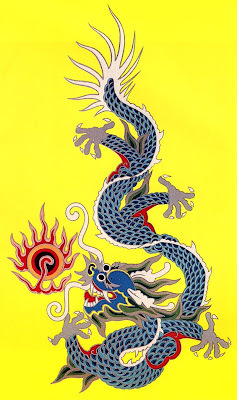 The most popular explanation for these is that they are meteorological phenomena known as fire drakes - on account of their fiery countenance and superficially dragonesque form - caused by charged particles accelerated in solar flares and diverted by the Earth’s magnetic field, so that they enter the upper atmosphere, yielding streams of wavering light. Nevertheless, in some reports the eyewitnesses were convinced that what they had seen was a bona fide living creature. Sky dragon – merely a meteorological phenomenon, or something more? STAR ROT, OR DEAD SKY BEASTS? A mysterious phenomenon that has been recorded for centuries but never fully explained is star rot, also known as pwdre ser or gelatinous meteors. As its last-mentioned name suggests, often what appears to be a meteor or shooting star is seen streaming across the sky, then later, at the site where it is thought to have landed, samples of a strange jelly-like substance are found. Samples of this star rot that have been formally analysed have unmasked a diversity of identities, including various species of algae, fungi, slime moulds, and even the semi-digested remains of food regurgitated by birds. However, some samples have defied identification, and others have quite literally disappeared even as they were being collected, leaving behind nothing more than an odd smell or a greasy trace to verify their erstwhile existence. Perhaps the most dramatic explanation for these more mystifying samples of star rot, as suggested by Bessor, is that they are actually the mortal remains of sky beasts that have died and plummeted downwards from their lofty abode in the sky to the ground far below, leaving nothing more than transient masses of jelly as corpses, with the earlier-spied streams of light in the sky the release of their dying bodies’ energy. 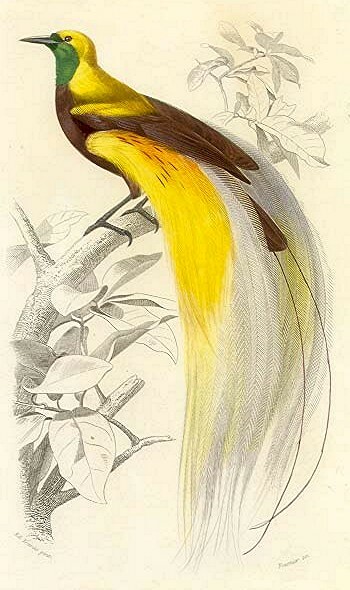 When skins of New Guinea’s exotically-plumed birds of paradise were first brought back to Europe, in 1522, naturalists were very surprised to discover that they did not possess flesh, blood, bones, or feet. Consequently, they mistakenly deduced that these gorgeous, ethereal-looking, and seemingly near-weightless birds spent their whole lives permanently airborne, feeding upon an ambrosial diet of nectar and dew like feathered sylphs, descending earthward only to die. In reality, however, as they subsequently discovered, the reason for these birds’ insubstantial nature was that when preparing their skins for sale, the New Guinea natives routinely but with great skill removed all of their bodies’ fleshy parts, leaving only their feathers, wings, head, and beak! Often cited as examples of atmospheric creatures, rods are cylindrical objects, often just a few centimetres long but sometimes much bigger, with wings or a rapidly-undulating lateral membrane. These enigmatic objects cannot be seen with the naked eye but have frequently been photographed and filmed, their most notable researcher, José Escamilla, having done so many times. 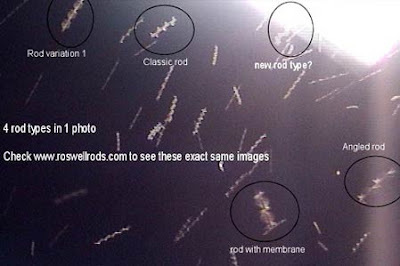 Likened by believers in their status as unknown life forms to flying centipedes, rods have been dismissed by sceptics as camera artefacts, digital distortions, and known, living creatures such as insects or even birds. Arguments have raged for years, but in May-June 2005, research staff at China’s Tonghua Zhenguo Pharmaceutical Company provided a satisfactory solution. Setting up huge collecting nets, they filmed many rods flying inside them, but when they then inspected these nets’ contents, all that they found were moths and other insects. Subsequent investigation revealed that their filmed rods were artefacts – normal insects ‘transformed’ into rods by an optical illusion resulting from their video camera’s slow recording speed. It is now believed that what is happening is that when a fast-flying insect such as a moth is filmed by video equipment, its wings move too rapidly to produce a clean image. Instead, a time-lapse of its wings occurs, which yields the mysterious wings or undulating membrane of the rod, with the rod itself being the time-lapsed body of the flying moth. If so, and it certainly seems the most plausible explanation, we can spare the rod from any further consideration as a bona fide cryptid of any kind, let alone one of sky beast relevance or affinity. In 1977, Cornell University astrophysicist Dr E.E. Salpeter and eminent astronomer Prof. Carl Sagan published a paper in the Astrophysical Journal Supplement outlining their thoughts on the possible presence of life on Jupiter, and the likely forms that it may take, existing amidst this gargantuan gas planet's clouds. They concluded that much of whatever life might indeed reside there may well parallel the ecology of Earth's ocean fauna - yielding Jovian equivalents to our plankton, fishes, and larger fish-eating marine predators (turtles, sharks, etc), and which the two scientists have termed sinkers, floaters, and hunters respectively. Salpeter and Sagan postulated that they could be enormous sac-like organisms, filled with helium, and propelling themselves through the planet's atmosphere by controlled expulsion of this gas from their bodies. However, they did not consider these airborne balloon-like beasts to be wholly conjectural. In fact, they suggested that the presence of such creatures (perhaps even attaining a total diameter of many miles in the case of the Jovian 'hunters') may explain the frequent occurrence over the planet of clearly-perceived areas of red colouration. The two scientists hoped that this prospect could be examined by the close-up cameras that would be focused upon Jupiter by the U.S.'s Mariner 11 and 12 space probes after their launch later in 1977, but no evidence to support the existence of these (or any other) Jovian life forms was found. Even so, the ideas of Salpeter and Sagan remain plausible relative to the likely nature of life on that huge gaseous world, should any truly exist there. 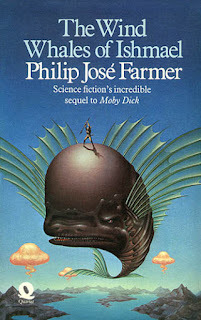 Back in 1971, moreover, the scenario of colossal sky jellyfishes on Jupiter had been the basis for one of Arthur C. Clarke's most famous science-fiction stories, 'A Meeting With Medusa'. Another notable science-fiction novel significantly featuring sky beasts (and which is a particular favourite of mine) is Philip Jose Farmer's The Wind Whales of Ishmael (1972), set on Earth but in the far-distant future, in which the oceans have long since dried up, with the creatures that once thrived in them having evolved into a diverse panoply of exclusively airborne sky beasts instead. These from vast clouds of tiny aerial krill counterparts and the huge wind whales that feed upon them to the smaller but highly-aggressive sky sharks and even a species of sky jellyfish that periodically hovers above forests into which it sends down its stinging, heat-sensitive tentacles to detect the body heat of the terrestrial life forms upon which it preys. 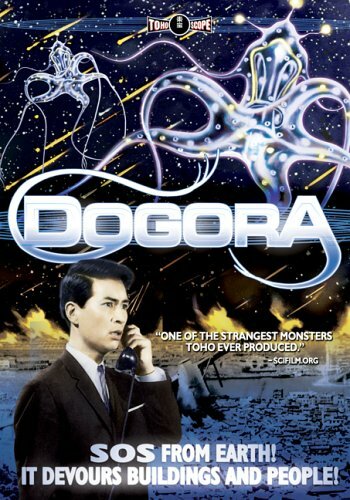 More recently, in 2005, the concept of a carnivorous species of space jellyfish invading Earth and causing havoc was the basis of a decidedly strange Japanese science-fiction film, 'Dogora'. FINAL THOUGHTS: SKY BEASTS AS STRATOSPHERIC FISHES? "For millions of years, the upper reaches of the sky have remained sacrosanct from contact by the realms of land and sea below. Here, according to the sky beast theory, these metrically vast but materially insubstantial entities have evolved in supreme isolation, unsullied and undisturbed by events on Earth. Since the early 20th Century, however, aeroplanes have roared on silver wings through the sky beasts’ cathedrals of clouds, rockets have surged relentlessly upwards like volleys of scorching arrows, and nuclear explosions have spewed forth their deadly emissions in bilious contempt upon the once-immaculate roof of the world. Is it any wonder, therefore, as argued by Cage and the Countess, that UFO sightings are increasing? The sky beasts are cautiously venturing down, to discover what is happening in the frenetic zones far beneath their own languid kingdoms of air and space." Amazing! I really support that theory. Personally, i doubt energy life-forms are real, or exist in our solar system, but sky beasts are a fantastic and very relevant explanation for UFO's. If aliens were visiting Earth, they would want to remain unseen because they could cause mass panic here on Earth. Aerial life forms are a welcome shift from the norm of UFOlogy. Thanks for posting this, Dr. shuker! We should not forget the short story by Sir Arthur Conan Doyle, The Horror of the Heights, where a pioneer pilot discover a whole fauna of sky-beasts living in the stratosphere. I remember reading about that story on Wikipedia. I personally believe that Sky-Beasts or what ever people may call them are the most unusual and perhaps the coolest of the Cryptids that I have heard of. However I doubt they are as vicious as they are described in the story, but who knows? 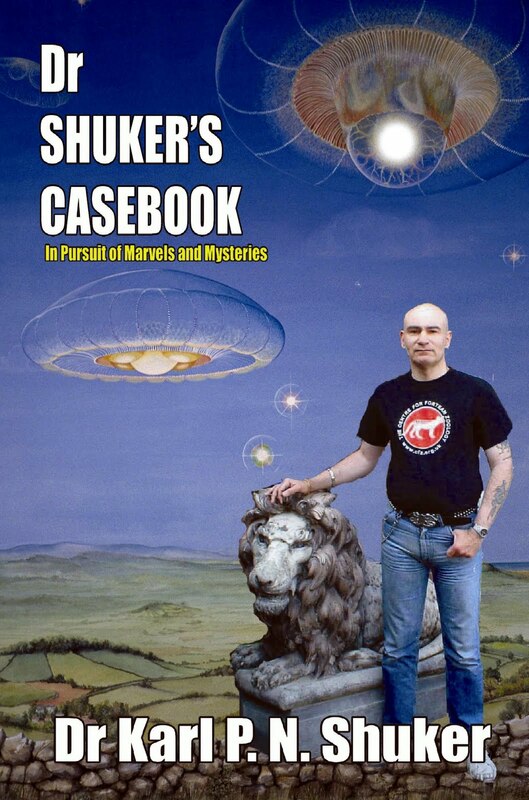 That's a wonderful sci-fi story, and I actually use a quote from it (in which the airman describes the sky medusae that he encounters) to open my sky beasts chapter within my book Dr Shuker's Casebook (2008). A favourite topic of mine and incidentally the subject of my first story I wrote for my High School newspaper (The ATHS Arsenal Cannon) back in the 1970s. Thanks, Karl. Information on the theory is also to be found in Ivan Sandeson's book Uninvited Visitors and Vincent Gaddis' book Mysterious Fires and Lights: I happen to own ALL of the books named here except your most recent Casebook (Unfortunately in that case). The White glowing cube shaped thing that we seen flying around and around a radio tower north of Great Bend, Ks. In the mid 60's as little kids is when we seen it. It might be a living thing from somewhere? Google Great Bend Kansas UFO I posted several years ago what we seen. UFO Reporting center also has a report of this very real UFO we seen. Wow! I've just learnt that this ShukerNature article of mine re sky beasts has made In The News on Coast To Coast Am !! Amazing! It's also clocked up almost 7000 hits in less than a day, which is a lot for what is fundamentally a cryptozoological article! Why does it have to be one thing or another as an explanation for UFOs? How about considering ALL possibilities existing at the same time, INCLUDING the idea that some very advance races may use LIVING CRAFT, where as the structure of the craft has been literally grown and acts perhaps symbiotically with the transport-ees. Thanks for all the very positive comments! @twas_brillig - I agree entirely that there may be several different identities for UFOs; I wasn't aware that I stated anywhere in my article that in my view sky beasts are the ONLY one. I'm just concentrating in it on the possibility that sky beasts constitute ONE putative identity. This conjecture has had its champions over the years, but the inability to closely inspect one has made it an enigma. Yet it is clear that a shift in the spectrum does reveal these entities. Again one researcher did produce evidence and a second repeated the exercise. So where does this leave us. We can set out to tentatively design our creature from the basics. Imagine a cell deciding to exploit the atmosphere. It needs to produce a membrane that is as thin as possible. This membrane needs to be attached to adjacent membranes and so on. An envelope is created in which large spaces are produced and then plausibly used to store a lighter gas at least. It could even be made up by a single cell blowing a bubble and attaching itself to like minded cells, something like a slime mold. There are plenty of gases available, and some are naturally light such as methane in particular. Such cells would easily rise into the atmosphere and ultimately into the stratosphere. Assuming the cells receive radiative energy from the sun and consume CO2, we are actually in business. Conjecture: Cellular lifeforms exist, evolved from slime molds that absorbs solar energy and converts CO2 into carbon for its own use and produces methane that it holds inside its extendable cell walls. It assembles with other such cells to form agglomerations and has evolved superior mobility as a result. It extracts necessary nutrients from atmospheric dust. 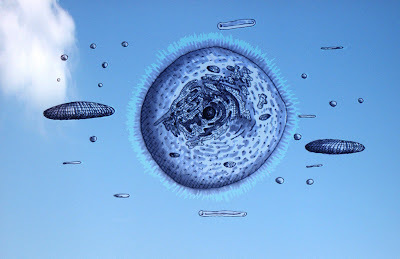 It is plausible that a single cell engorged with methane would be large enough to be readily visible to the eye and could easily appear as an aqueous bubble. These creatures absorb energy in the ultraviolet while been transparent to the visible spectrum. Conclusion: Let us start with reality. It works. A slime mould cell learns to store methane inside its walls and allows the walls to expand. The cell lifts into the atmosphere and is now able to interact there. 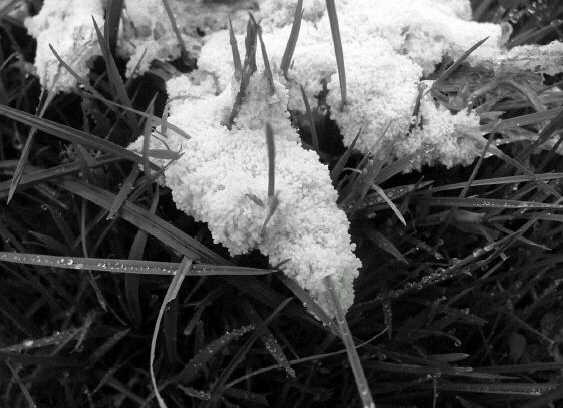 The next obvious conjecture is that such a slime mould exists and has just never been observed and understood. Otherwise we already know this creature that produces internal methane and pops. It still begs the question of how such a possibly huge assemblage is able to generate superior movement, if they do. Recall the thin air flows in the stratosphere is able to demonstrate the huge speeds observed. It may turn out that the stratosphere is charged with such creatures. This analysis, has just dispelled all the obvious objections and I even get to blame my old friends, the slime moulds who are just as strange on the ground. I'm glad you dismissed the whole 'flying rod' thing, Karl, as I've had many an argument about these. I have a few rather good examples I've taken myself, but they are clearly an artefact of my digital camera trying to capture insects above a stream. Interesting regarding Trevor James Constable. He was inspired by Wilhelm Reich and Reich's theory of orgone energy. I recall reading a book called Reich for Beginners and if my memory serves me correctly (which it may not) Wilhelm Reich mused about the existence of creatures, as described in this article, living in the atmosphere. On a personal note, one of the few anomalous things I have experienced in my life came to mind after reading the article. I live in northern Ontario in Canada in a small city called Sudbury. About five years ago my wife and I were walking down our street in the late afternoon of a warm summer day. The sky was overcast and we were both looking up at it talking about the weather. Suddenly, through a break in the cloud cover we saw a disc shaped object zip by. We saw it for a fraction of a second but it had a definite disc shape and was green in colour with a small dark centre. However, while it had a distinct edge I have the impression it was gaseous within the disc- I'm not sure why as it happened so fast. Maybe it shimmered in a foggy fashion. Afterwards, I thought it may be a meteorite with a vapour disc around it but who knows. It is amazing the inability of the armchair "experts" to just get up and look the sky with their own eyes or simple instruments. These autonomous flying anomalies can be observed by anyone, just a little effort and persistence is require, but they can be observed systematically and they have amazing characteristics, even some of them will respond to direct light signals in daylight or at night and some others will change body geometry in correlation to direct signals, but the so called "experts" are paralyzed by preconceptions and incapacity, these anomalies are now being observed all over the world by "simple" people with no preconceptions or the "burden" of dogmatism. I'm very sad to hear this, but thanks for letting me know, Loren. I have been videoing them for years. Cloaked and fast moving ones. You need to slow down the video to see. THE WONDERFUL THING ABOUT TIGUARS!